If you’ve been to Trader Joe’s lately, you have seen that they are all about everything pumpkin under the sun! 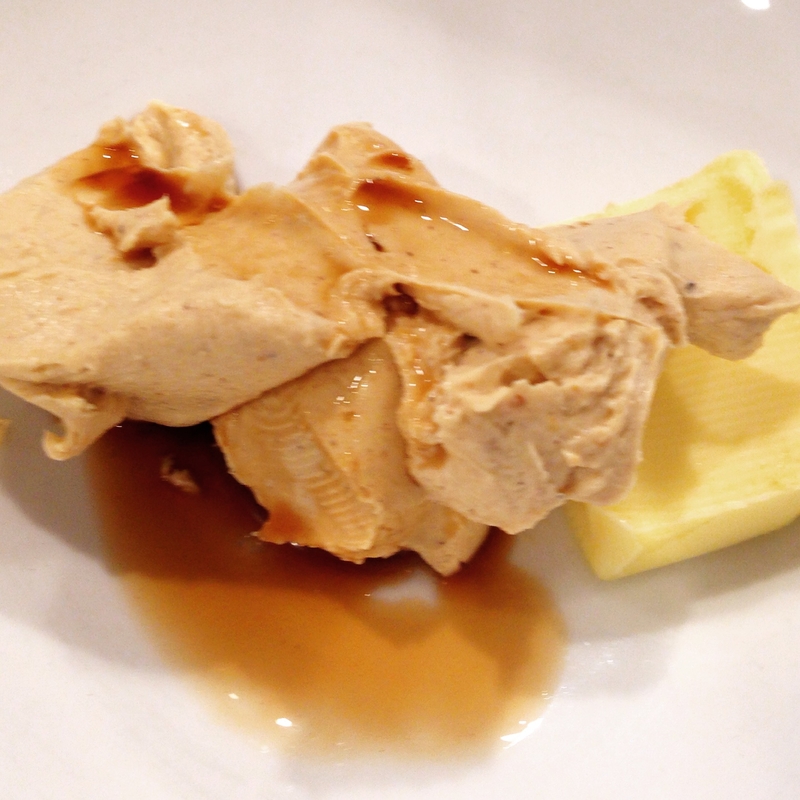 Incorporating the above 3 ingredients, I made the most amazing pumpkinlicious treat. Modifying a recipe I found, I created these moist, fluffy, decadent, but healthier homemade cupcakes. I omitted the chocolate chips, cut the sugar in third, used whole wheat instead of white flour, and pumpkin spice blend instead of just cinnamon. 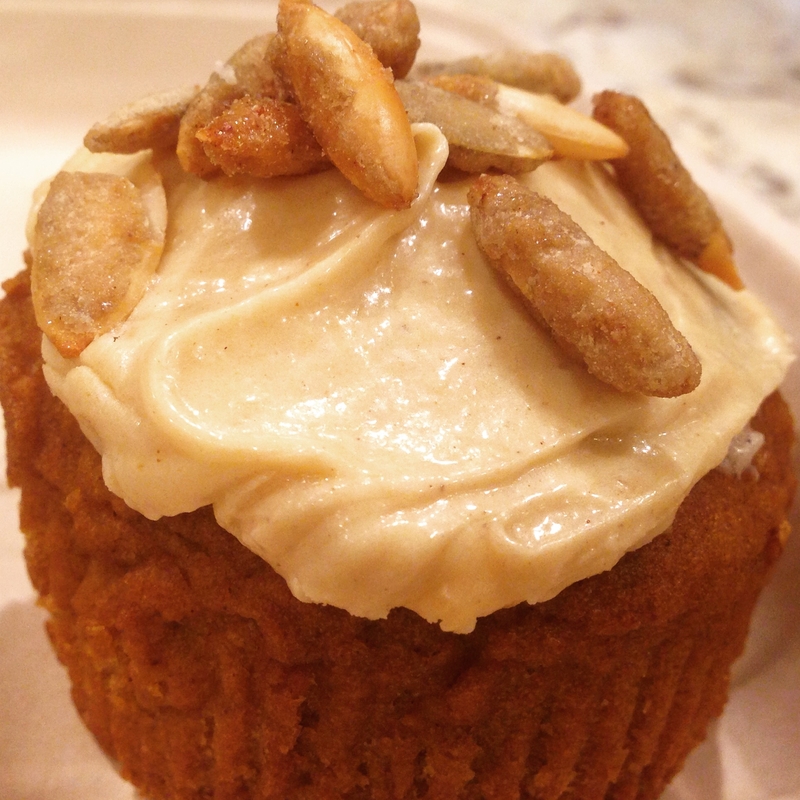 The Pumpkin Spiced Pumpkin Seeds with their crispy, sugared shell throw these cupcakes from the awesome to out of this world rating. Soft cake, creamy icing, and that crunch at the end of every bite is beyond delicious. The sugar is so reduced that they could pass as muffins but the icing crowns them the cupcake title. The cream cheese is undeniably processed so I did do some rule breaking there but only 2 tbsp of it are divided by 10 servings as well as only 1 tbsp of grassfed Irish . 80/20 rule as I always preach 🙂 . The batch of icing is small but sufficient to lightly top the cupcakes. A little goes a long way! 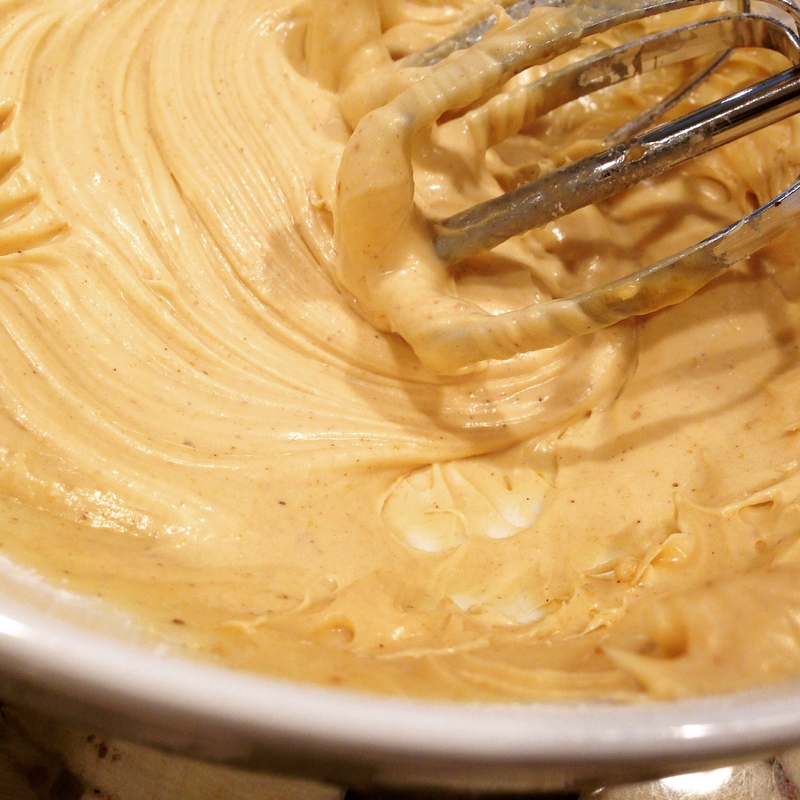 You want to very gently mix the batter so it doesn’t get gummy and result in a dense, firmer cake. Mix wet ingredients plus sugar in a large mixing bowl. Gently whisk until most ingredients are combined and then finish by folding with a silicone/rubber spatula. Do not over mix. Pour into lined or lightly greased muffin tin filling each compartment 2/3 or so full. Bake for 25 minutes and allow to cool for 10 minutes. For mini muffins, bake 11-12 minutes. 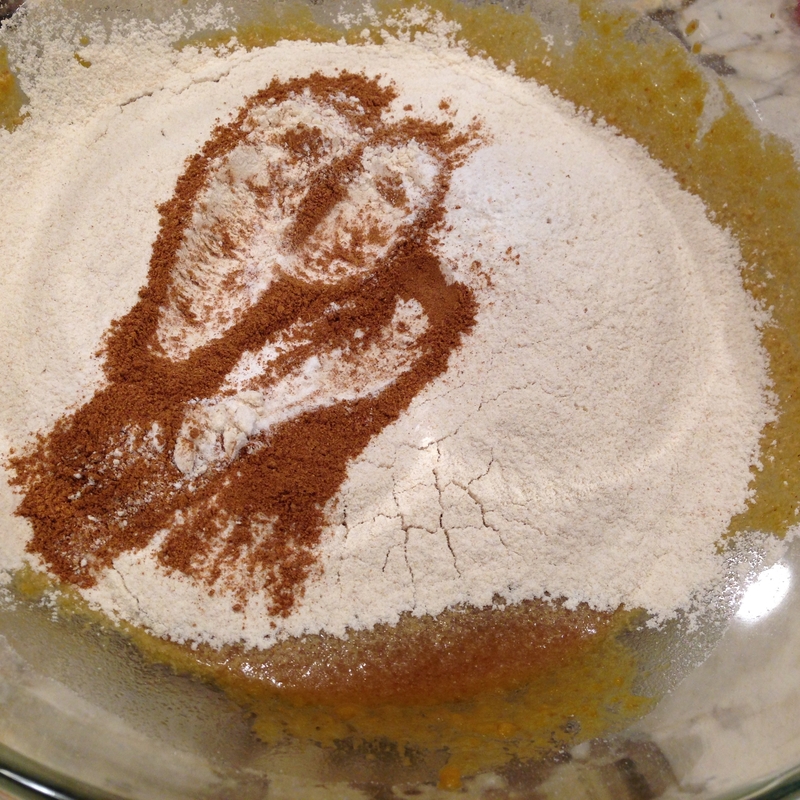 Place all ingredients in a bowl and combine with an electric hand mixer on low for 1-2 minutes. We made another batch two days later! Enjoy!